Would Teleworking Work For Your Bank? Summary: In banking, teleworking can give you more flexibility, reduce the need for physical space, and help you increase resilience during a natural disaster. What banks need to know about teleworking. In the age of smartphones, it is easy to forget how far we have come since the first phone was invented back in 1876 by Alexander Graham Bell. Interestingly, Bell suggested people who picked up calls say "ahoy." Also of note, the first phone call was between Bell and his assistant Thomas Watson. Finally, the origin of the phrase to "put someone on hold" came when Bell handed his phone to Watson and said, "Here, hold this." We have come a long way since then in the telephone world and we have also come a long way when it comes to teleworking. This coveted employee benefit continues to expand, as technologies like video conferencing and the cloud have grown. In banking, teleworking can give you more flexibility, reduce the need for physical space, help you increase resilience during a natural disaster, and even recruit professionals who would rather not move to a physical location. It's also a benefit that more and more professionals are coming to expect. Before you give the go-ahead, though, it's important to consider operational, cybersecurity, compliance and other factors. It is also critical to think about how you will prevent favoritism, create teleworking agreements, and handle data security challenges. To avoid claims of discrimination and clarify the question of who can work from home, you will need to create a policy. For example, you might decide that employees need 2Ys of continuous employment with your bank and consistently positive performance reviews in order to be eligible for teleworking. It is also important to take that policy and set clear expectations in writing by creating procedures. Be explicit about what days employees must work in the office and what days they may work from home. You'll probably want telecommuters to do the same job and work the same hours that they'd do in the office, so that they're available when colleagues need to reach them. Virtual desktop solutions can help immensely. They allow your teleworkers to remotely access their desktops as though they were in the office. A virtual desktop delivers images only, so data continues to be stored on the office computer. That's important for keeping bank data secure and private. It's also vital protection when a teleworking employee leaves your employment. To help prevent cyber issues from cropping up, ask teleworking employees to agree in writing to keep their equipment current, keep firewalls turned on and patches current. You can also help protect your bank by requiring dual factor authentication at all times and the ability to remotely wipe work data perhaps. It also makes sense to upgrade your video chat capabilities, so teleworkers remain part of the culture. Doing so includes them in meetings, can improve internal camaraderie, and also allows you to get valuable employee input on whatever topics you've gathered to discuss. Office chat software is another way to help remote workers feel part of the office culture too, while also showing office-bound employees that your expectations are the same for those working from home as for those still in the office. 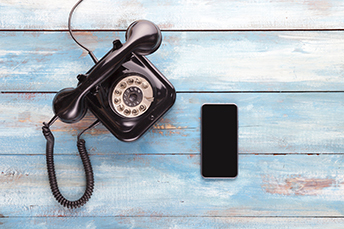 Whether your bank finds teleworking worthwhile or not, we want to keep you informed, as the technology tools continue to get better, just like the phone has over the years! A Hackett Group survey of 150 finance, IT, HR and procurement executives at major companies finds 91% of respondents rank digital transformation and sustaining a competitive cost structure as either highly important or critical to their finance team goals in 2019. Citadel Information Group reported early last month that Coinbase noticed one of its cryptocurrencies was under cyberattack. Technology experts indicate blockchains are now getting hacked, including transaction history and that some security holes are appearing. Ratings agency Fitch reported total US debt is nearly 10x the size of France, Germany, Italy and the UK combined and has increased by 44% since 2012. Total global debt has now hit $66T - 80% of global GDP.